This entry was posted on July 28, 2008 by Bill. Just a quick email to say that the Zack Loft towel holders are brilliant. They are stylish, easy to fix and very practical. No more towels on the floor! I have bought them before, will buy them again and recommend them to others without hestiation! Best wishes and thank you for your excellent service. So, no more excuses, get organised in the kitchen or bathroom! 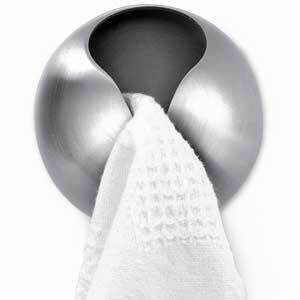 The Loft Towel Holder is available from Proleno for £6.95.